If you’re a foodie who is planning a trip to Italy, you are in for a treat! 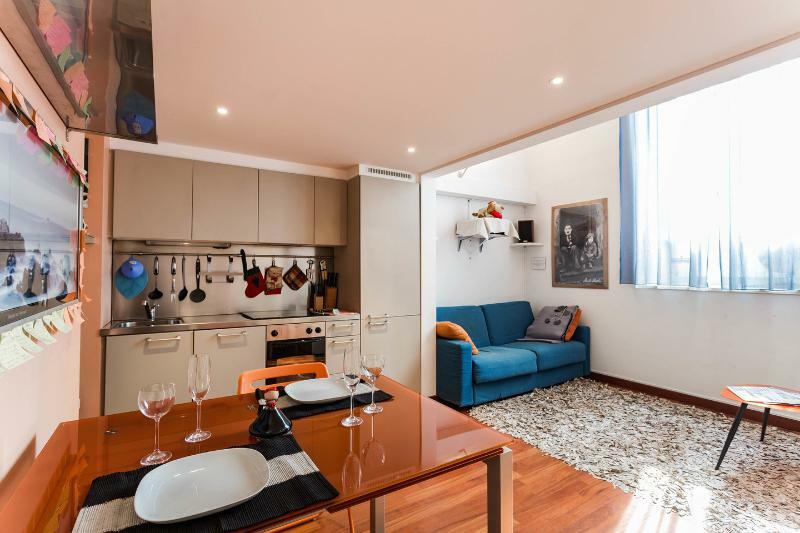 While it is always a pleasure to experience the delicious cuisine and impeccable hospitality in Italian restaurants, you might find even more delight if you have your own kitchen during your stay. Each region of Italy has its own specialty dishes that you can try to make in the comfort of your own home. Explore the local farmer’s markets and come home with some beautiful produce that you can use to make your own authentic creation. 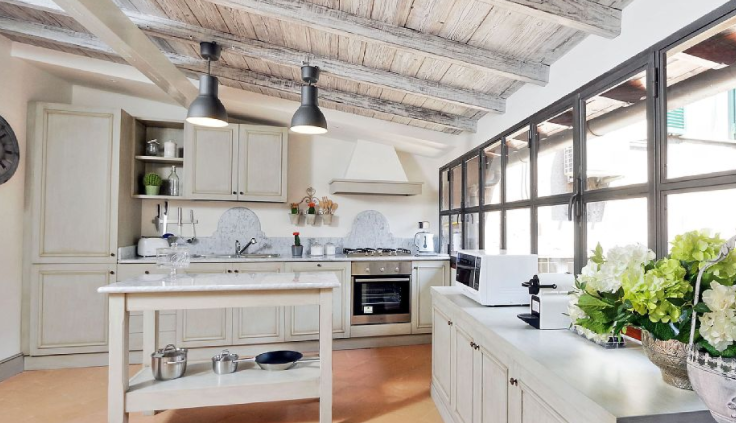 Today, we are featuring some vacation rentals with stunning kitchens in five Italian cities. Andiamo a mangiare! Get spectacular views of the Palatine, Roman Forum, and the Capitol from your rooftop patio in this stunning Roman apartment. 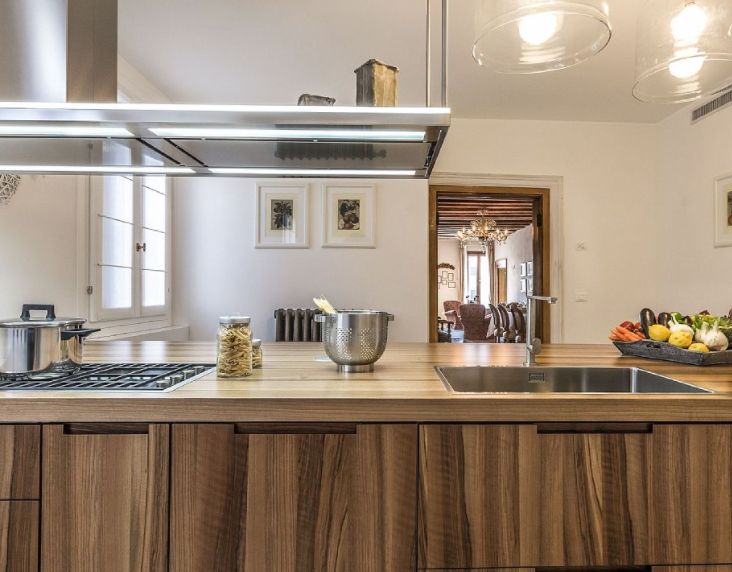 It has a fully-stocked, beautiful kitchen where you can live out your culinary dreams, as well as an elegant dining room where you can share your creations with your loved ones. 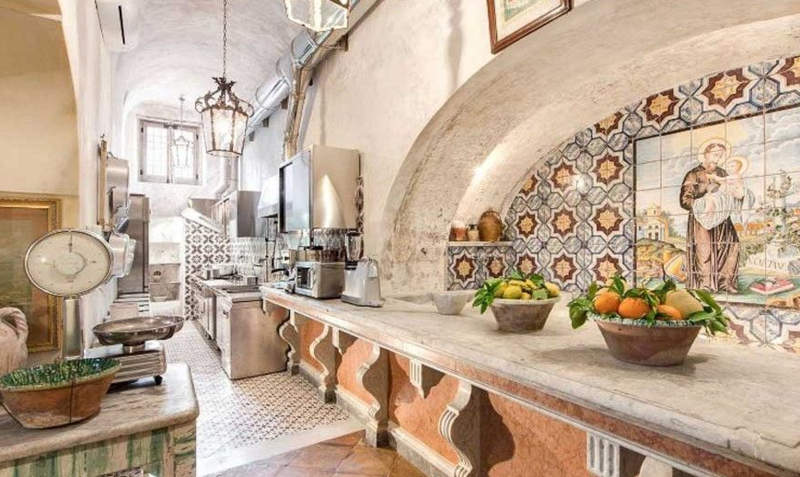 Stay in Villa Baroque, a sumptuous ten-bedroom retreat in the oldest part of Positano. Enjoy taking dips in the infinity pool with a full view of the sea, or relax in your beautifully-decorated bedroom with high ceilings and frescoes. 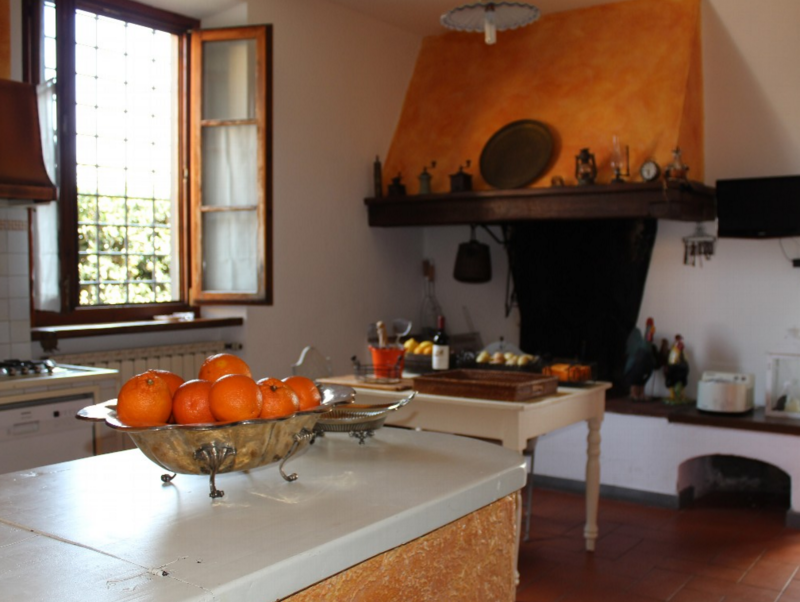 Believe it or not, this rental also includes a cook who will make all your meals, which is a great way to learn how to make Italian dishes. You can even request a professional chef who can come to your house and elevate your experience to new levels. Perfetto! If you’ve ever seen the movie Under The Tuscan Sun and have been dreaming of life in a Tuscan villa ever since, look no further than the Villa Rogai in the tiny village of Romola. You’ll be ten miles away from the center of Florence, yet you’ll feel like you’re a world away. The villa was built in the late nineteenth century and is decorated with beautiful antique furniture. You can enjoy your meals on the terrace by the pool with a view of the nearby hills. We recommend buying several bottles of local chianti wine to taste, too. Experience the northern grandeur of Milan in a vacation rental that is as fashionable as the city. This luxury loft sets you up perfectly for exploring the city, and you’ll feel like a local in this small but comfortable space. Fun tip: take a day trip to stunning Lake Como, and buy some fresh fish to bring back and cook for the evening in your little Euro kitchen. Plan a trip for you and your nine other friends or family members to the Palazzina Canal, a stunning property in Venice that is right on the water. You’ll have views of the whole city from the windows of your apartment. 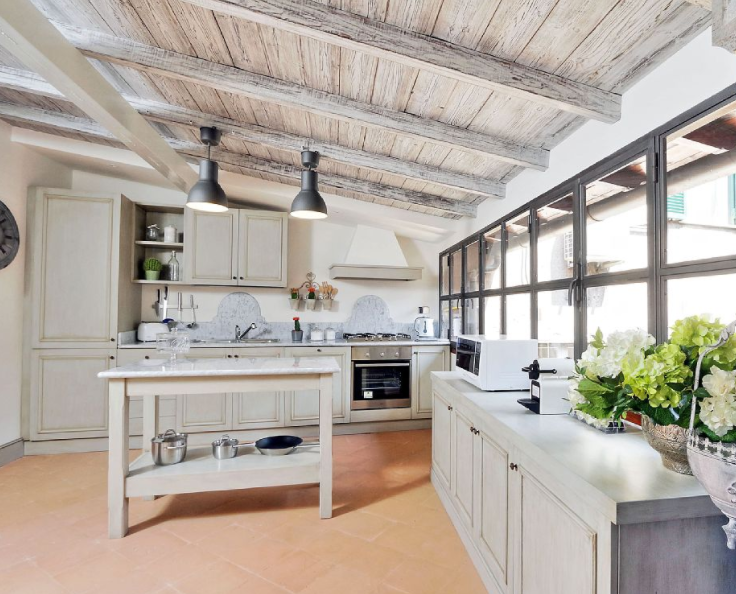 The kitchen space is perfect for big cooking productions: you can spread out all of your ingredients on the large island and put people to work – or sit them down at the barstools, and give them samples of whatever you’re making. Cathy Trainor runs the Content Center at Tripping.com, where you can find vacation rentals all over the world from websites like VRBO, Booking.com, and TripAdvisor. She spent a month in Siena, Italy, where she experimented with making minestrone for her flatmates in a sixteenth-century apartment building.